Looking for the perfect gift for the holiday, an event or event that special someone? 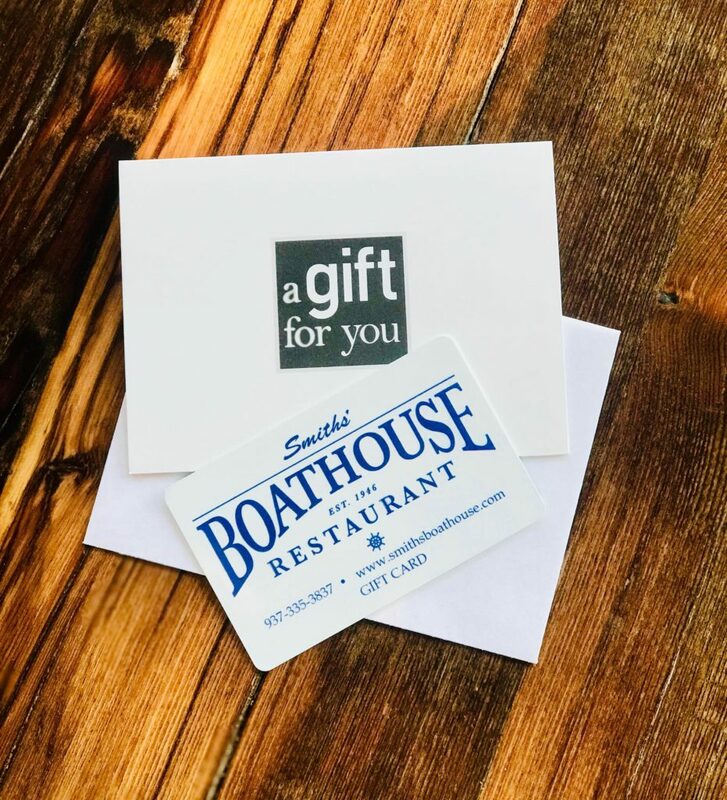 Smith’s Boathouse offers gift cards ranging from $15 to $200! For larger purchases (corporate, etc.) please contact the Boathouse directly at (937) 335 – 3837! We accept Visa, MC, Discover and American Express through our safe and secure online purchasing. Your gift card will be mailed to you by the next business day to the address provided. ***Click on dropdown arrow to view different gift card amounts.